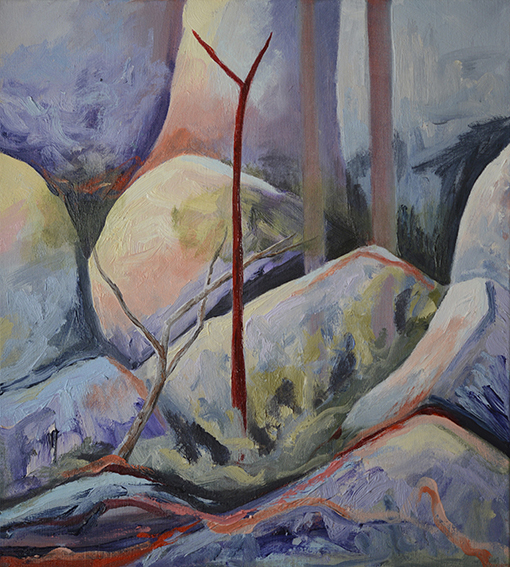 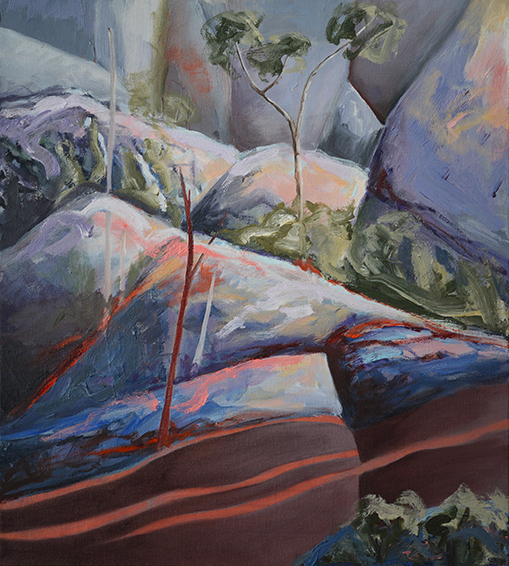 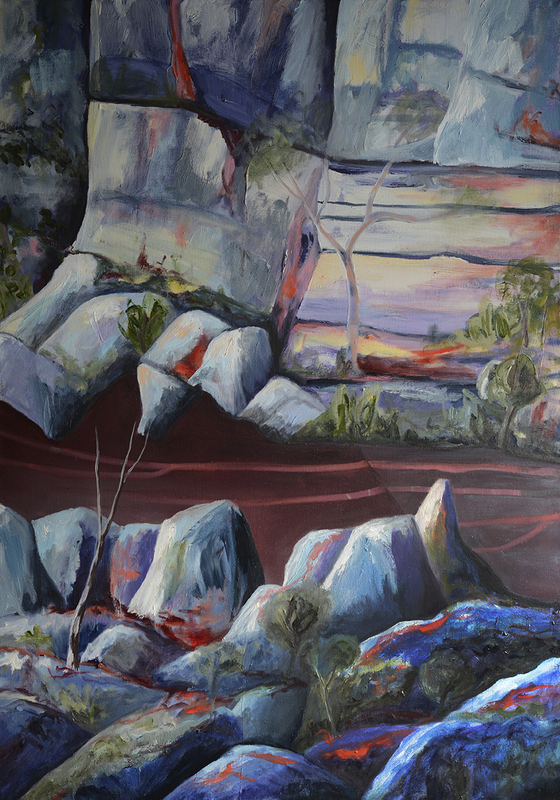 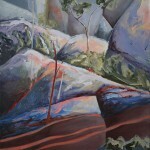 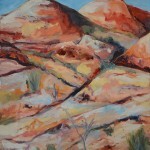 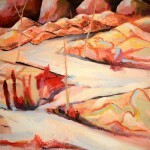 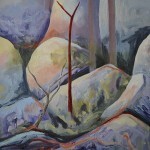 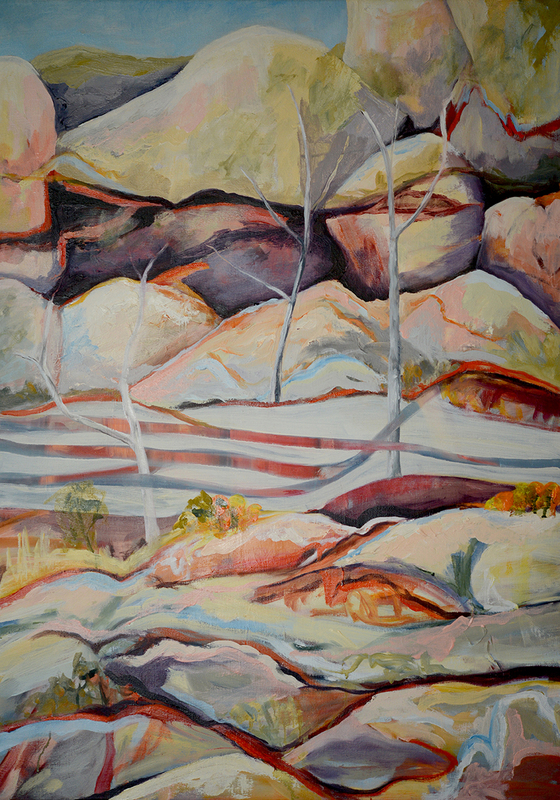 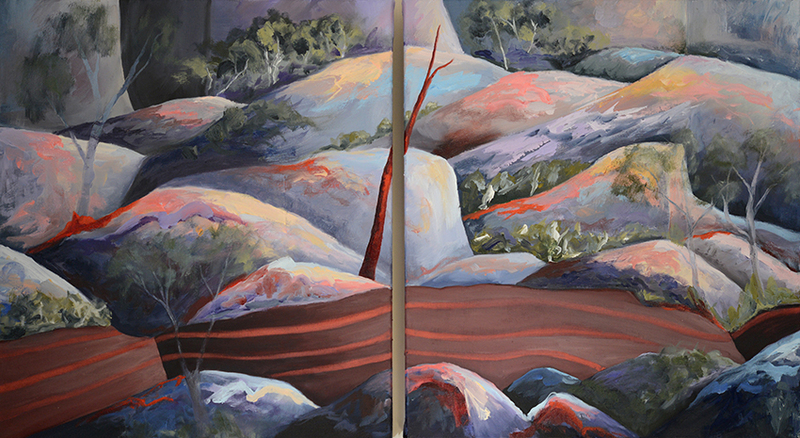 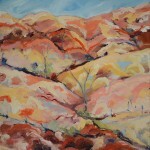 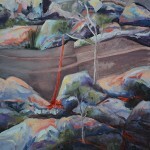 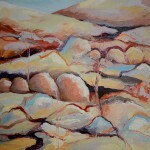 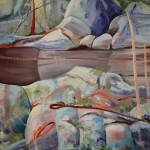 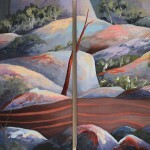 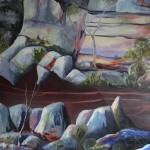 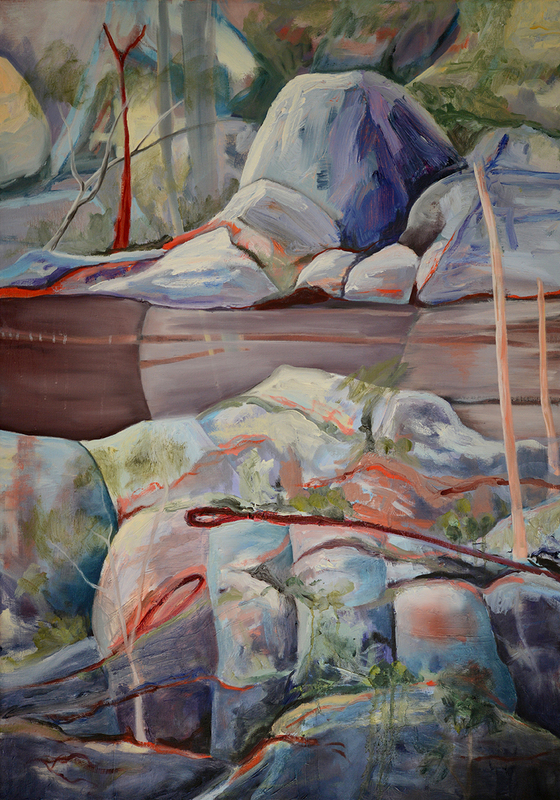 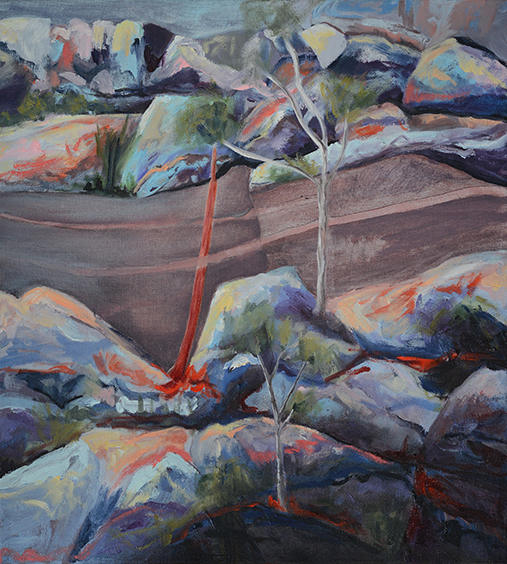 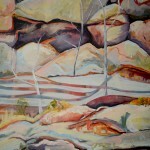 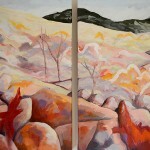 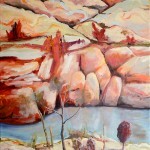 This body of work explores the unique landscapes of the Blue Mountains, the Wollemi and the western plains beyond. 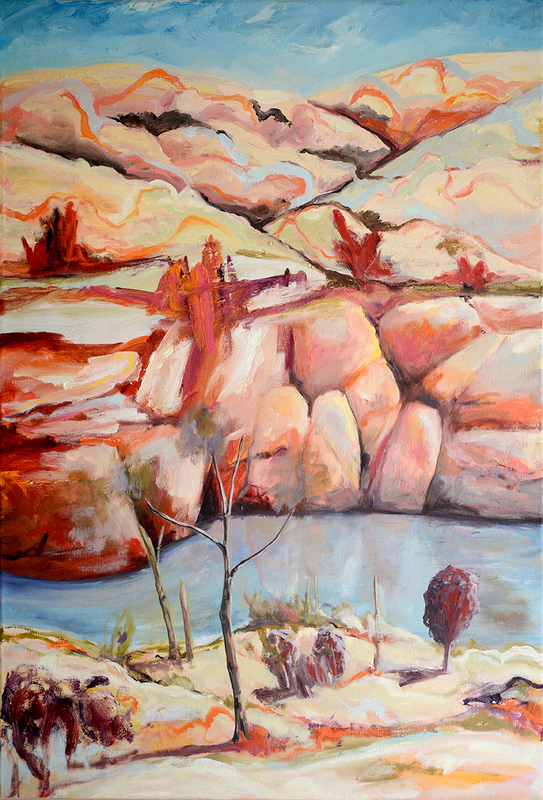 Growing up in this unique part of NSW, I have fond memories of hiking through National Parks, clambering over rocks and swimming in local waterholes. 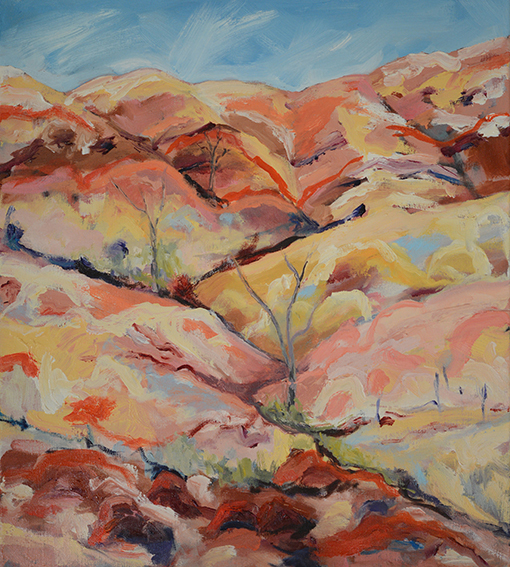 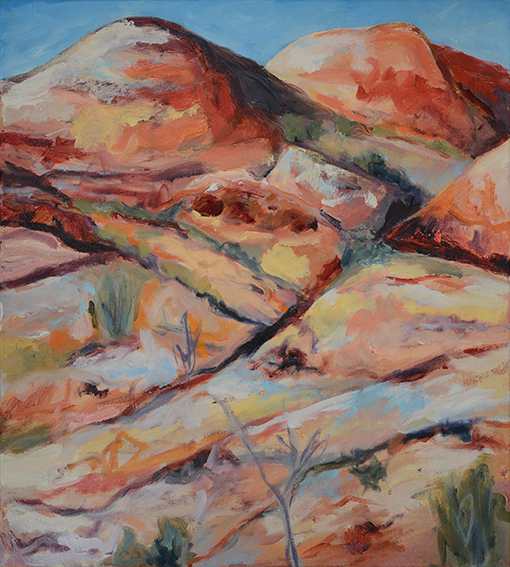 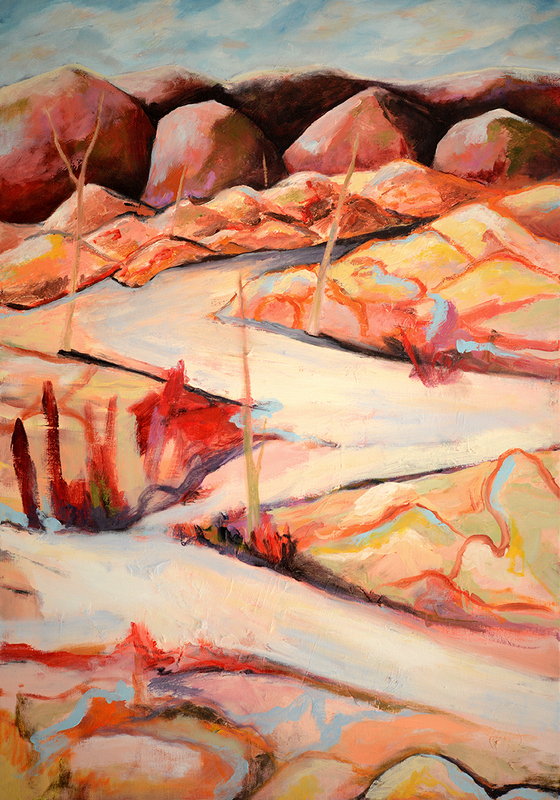 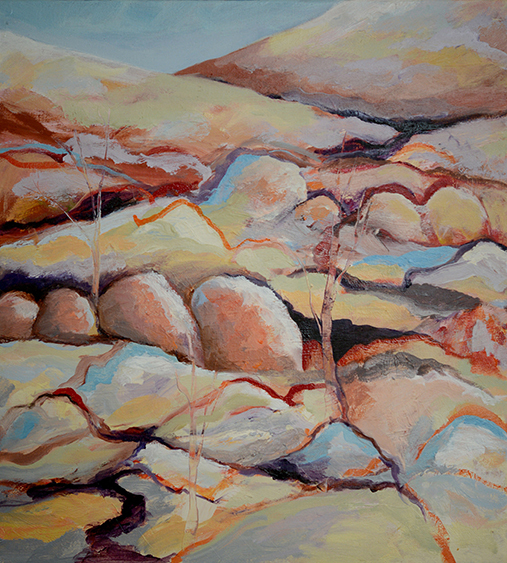 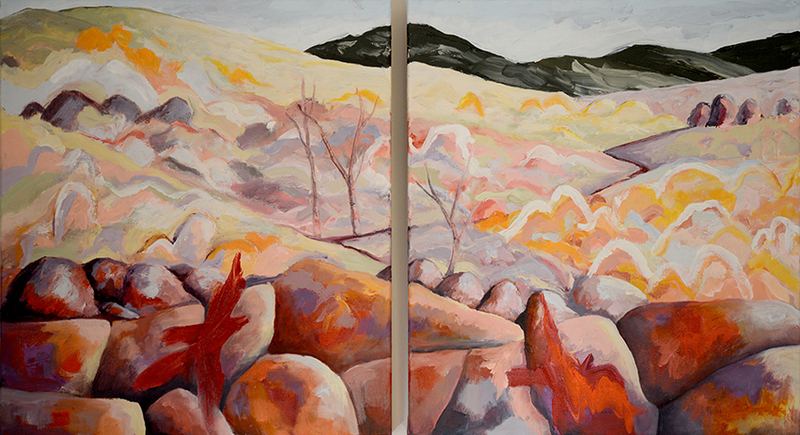 My current landscape paintings reflect these experiences and contrast the lingering light of early autumn evenings with the intensity of hot summers and drought.